When you start using Visual Studio with Git, choose the way that works best for you and the kind of project you’re working on. For example, you can start an experimental solo effort in a new or an existing local repository and continue developing there as long as you want. Or you can join a collaborative effort in a remote Git repository, hosted either in Team Foundation Server (TFS) or on another service. If you don’t have Visual Studio, get it here. If you plan to use TFS, create or get access to a team project. You can create a local repository on your dev machine—whether or not you have a network connection—and start developing right away: coding, committing, branching, and merging code. When you’re ready to collaborate with your team, you can publish one or more branches from your local repository into a team project. You’ve got an idea for a new app, so you want to experiment on your dev machine. In less than a minute you can use Visual Studio with Git to create a new code project under local version control. (And no Internet required! )Create a new code project (Keyboard: Ctrl + Shift + N). We suggest that you put your new project in c:\Users\YourName\Source\Repos\. You’ve already got an app in progress and you want to start working on it under local Git version control. If you have not already done so, open your solution, (Keyboard: Ctrl + Shift + O) and then open Solution Explorer (Keyboard: Ctrl + Alt + L). Add your solution to source control. On the Choose Source Control dialog box, choose Git. Now that your repository is created, you are ready to commit your files. Go to the Changes page (Keyboard:Ctrl + 0, G) and commit. You can create an empty local repository and add files later. It’s possible to track your changes to the files whether or not they are part of a solution. Or, if you already have a local repository, just start working with it in Visual Studio.Open the Connect page (Keyboard: Press Ctrl + 0, C). To create an empty local repository, choose New. To open a local repository that already exists on your dev machine, choose Add. Specify the local path and then choose Create or Add. When you are ready to share your code and collaborate with your teammates, publish your local repository intoTFS. Make sure you have committed all your changes in the local repository. See Manage and commit your changes. If you haven’t already done so, create a new a new team project (choose Git version control) or create a new Git repository in an existing Git team project. From the Connect page (Keyboard:Ctrl + 0, C), connect to the empty Git repository and publish the local repository to it. Your friends have invited you to work with them on a new project. Or maybe you are setting up a new project or a new dev machine. You can use Visual Studio and Git to collaborate on TFS (on-premises or in the cloud), on CodePlex, or on a third-party service such asGitHub orBitbucket.What do you want to do? If you haven’t already done so, go ahead and create or get access to a Git team project.From Visual Studio: Go to the Team Explorer Connect page (Keyboard: Press Ctrl + 0, C) and then connect to the team project. From the web: Open a team project from its home page in your web browser (Keyboard: Ctrl + 0, A). After you connect to the Git team project, if you have not already done so, you must clone it to your dev machine before you can work in it. Just specify the local path and choose Clone. Does your team have some code in GitHub or another service such as CodePlex or Bitbucket? To start working in Visual Studio, clone the code to your dev machine. 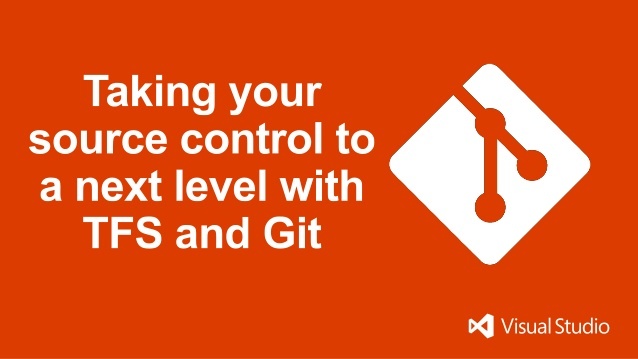 You can use Visual Studio’s Git capabilities with services other than TFS. However, if you use these repositories, you will not be able to use TFS features such as project planning and tracking and Team Foundation Build. To customize your Git settings, you must be connected to a local or remote Git repository. Open the Git Settings page. Apply global settings Apply global Git settings to control aspects of how Git functions for the current user on the dev machine. For example, you can specify how you identify yourself on the changes you commit. Apply repository settings Apply settings to control how Git functions in each individual local repository on your dev machine. For example, you can fine tune how the system blocks clutter from entering your user experience and repository. Apply more settings Visual Studio respects all Git settings but provides you with control over only a few of them. Use the Git command prompt to customize all Git settings. User Name and Email Address: Git associates each commit you create with your name and email address. When you start using Visual Studio with Git on your dev machine, if you connect to a Git team project first, then Visual Studio fills in your name and email address for you.Default Repository Location: Specify the default root directory where you want to create or clone new local Git repositories. Author images: Use images to more easily see the author of each commit. If your Git repo remote origin is in a TFS Git team project, team members can specify their images in their TFS profiles. How? See tips below. If your Git repo remote origin is in a non-TFS Git service (such as CodePlex, GitHub, or Bitbucket), select Enable download of author images from 3rd party source, and then ask team members to set up Gravatar accounts for their email addresses. Enable download of author images from 3rd party source also works for TFS Git team projects in cases where the author has not supplied a profile image. If your repository does not have settings files, you should probably use Visual Studio to add some default files that apply the most typically useful settings. You’ll avoid distraction and potential clutter in your repository from non-source files such aslocally-built binaries..gitignore file: See Use the Git ignore file to avoid file clutter in your work and in your repository. Commit your repository settings files: In most cases you should commit and push these files so that everyone else on your team uses the same repository settings on their dev machines. Repository settings apply to the work done in the local repository. Global settings apply to the work done by the current user on the dev machine. If you need to modify system settings, or if you prefer the command prompt, then modify your Git settings from there. See Work from the Git command prompt, Customizing Git – Git Configuration, and git-config command. Q: I’m really new to all this. How can I get more help? A: Follow a step-by-step walkthrough to get started using Git to work locally on a new project and then to begin collaborating with a team on Visual Studio Online. Q: I was blocked by the system because I don’t have permission. How do I get it? Q: How do I specify my TFS author image? A: If your Git repo remote origin is in a TFS Git team project, you can specify your images in your TFS profile from your web browser (Keyboard: Ctrl + 0, A). Q: It seems like I can claim to be anybody I want to be in my Git Settings. How can I know for sure who made a change? A: Yes, any contributor to your team project can claim any user name and any email address they want when authoring a commit. However, TFS does authenticate who pushes the commit. To see who pushed a commit, open your team project in your web browser (Keyboard: Ctrl + 0, A). Open the commit you want to examine from the Commits section, and then expand the commit details. One of the great new features of TFS 2013 is the addition of Git as a source code repository. Git is a Distributed Version Control System (DVCS) that has gained a lot of popularity in the past few years. Git allows you and your team to work completely disconnected by keeping a copy of your source code locally, including all your change history. By doing this, you are able to commit your changes locally, do file comparisons, create branches, merge your code, and much more. Once you are ready to share your changes with the rest of the team, you are able to push your changes to the centralized Git repository contained in your TFS Server. Git is not replacing Team Foundation Version Control (TFVC) but it does give you another option for you and your team to use. So starting with TFS 2013 and Team Foundation Service, when you create a new Team Project, you are able to decide what source control repository you will use. TFS’s Git implementation is based on msysGit so this is not just a small subset of Git functionality. If you are already used to working with Git, you should be able to get up and running quickly. Even though the Git commands that you will use are the same as other Git implementations, the backend is very different. As you may know, Team Foundation Server uses SQL Server to store all of its data, and TFS Git is no exception. This means that your backup and restore procedures won’t change whether you are using TFVC or Git. This implementation also means that all the integration points that you have when using TFVC are also available when using Git. This includes Work Item associations, build integration (Continuous Integration, Gated Builds, Associated Changesets in the Build Summary), alerts, and more. Before you get started, you have to create a Team Project that uses Git for Source Control. To do so, you follow the same steps as you would normally follow to create a Team Project from Team Explorer, but you will now see a new step called “Specify Source Control Settings” which will allow you to pick between Team Foundation Version Control and Git. Once you get through the Team Project creation wizard, you will now have a fully-working Team Project with all the great features that you are already used to (and some new ones with 2013), but instead of using TFVC you will now use Git. When you open Visual Studio and connect to your Team Project, Team Explorer will look and behave differently since it is aware that you are using Git. Before you can start working with any code stored in TFS, you have to clone the repository (see highlighted link above). This creates the mapping between your local Git repository and your Git repository that is hosted by TFS. As part of your local repository initialization, you will see a hidden .git folder, and two files used by Git: .gitattributes and .gitignore. You can now get started with either a brand new project (in my case I don’t yet have anything in TFS) or making changes to existing projects. When you are done with your changes, you are able to access similar features than what you would get when working with TFVC, except that the workflow changes. Git expects you to commit locally at least once and then you would push those changes to the server. Since your commits don’t affect the rest of your team until you push them to the server, you should feel encouraged to commit often since Git makes branching, merging, and rollbacks a very trivial process. You can create associations two different ways. You can either select the “Add Work Item by ID”, the way you are probably used to doing it. Or, as part of your comment, you can enter the Work Item ID prepended by a hash-sign. For example, in my comment above, I’m associating my commit to Work Item ID 2 by entering my comment like this: “Created new project #2”. One of the reasons for this feature is that in some cases, your team members may need to access your source control from outside of Visual Studio, for example, by using the Git’s command-line support, and this allows you to still create associations with your TFS Work Items. You can now push your changes to your server by accessing the Unsynced Commits tab in Team Explorer. You can access it from the link in the Changes tab or from your Team Explorer home. When you get there, you will see a list of all your local commits. Before pushing your changes to the server, you should submit a Pull request, which will allow you to resolve any conflicts with changes made by the rest of your team. Once those conflicts are resolved, you can proceed with a Push operation, which will move all your local commits to the centralized repository. Once you push your changes to the server, you are able to view History by selecting the “View History” option from the “Actions” dropdown in the Unsynced Commits tab. Double-clicking on one of the Changesets in the history window brings up the Commit Details, which shows you my commit comment, Related Work Items (remember that I used the hashtag to associate), and the files that were affected. One of the most important features of Git is its ability to painlessly create branches and merge between your branches. From here you can create new branches, merge between them, view Unsynced changes in each branch, and publish your branches to your local repository. Just like when you are using Team Foundation Version Control, you are able to get full integration with the TFS automated build system. When setting up a Build Definition, you are able to specify your repository name, the Branch that should be used to pull code from, and you are even able to pull code from a Git repository outside of TFS. The Build Process Arguments are also a little different since you are now dealing with a different structure than you would when connecting to a TFVC repository, but once you configure the build, all build operations work the same as they would in prior versions of TFS. This is an awesome new addition to TFS, which will give you and your team another option for source control. If you have team members working outside of Visual Studio, they are able to connect to Git from their favorite Git plugin and collaborate with the rest of the team. The greatest part is that all the integrations that we all love about TFS is still there, so you get all the great features of Git while being able to collaborate with the rest of the team using Work Item Tracking, Build Integration, Microsoft Test Manager, and more. Now go out and give it a try!